But it is her father's Christian faith, not the famine ravaging her province, that most threatens her well-being. 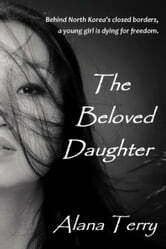 Chung-Cha is only a child when her family is forced into one of the most notorious prison camps the free world has known. Being the daughter of a Christian. The Beloved Daughter is a gripping, inspirational novel that has won awards from Readers' Favorite, Grace Awards, Women of Faith, The Book Club Network, and several others. Be inspired and buy it today. I actually listened to the audio copy of this book and it made it all the more dramatic. The narrator was awesome and really made it all the more realistic. I love the narrators ability to make it so authentic. The story is amazing on it's own. The torment and torture these people are suffering in the name of Christ is unimaginable. It is a well written story sharing the bravery of those strong enough to stand for Christ in the midst of adversity, threat of death to themselves or harm to loved ones. I love this author and her ability to bring awareness to the pain and suffering of those in and out of faith. I love that her books never feel like she is preaching but always stick to the word of God. Awesome! !